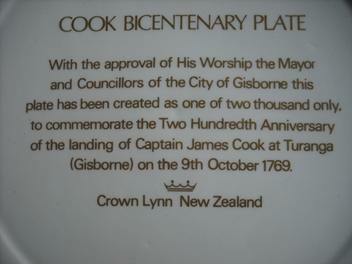 Only 2,000 of these plates were made by Crown Lynn to celebrate the Cook Bicentenary. 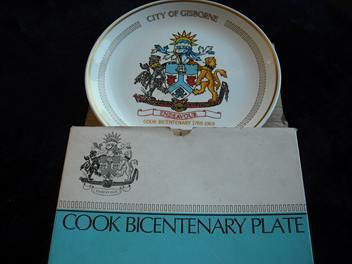 and even the box that it came in ..
Is this one in any of the galleries? 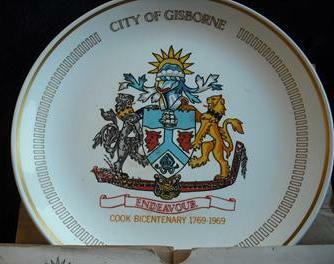 Anyways in the Museum notes I found " Bicentenary Plate pattern 548 " I think this could be it?